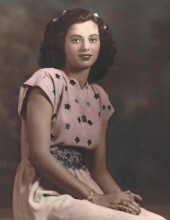 Jean Grogger, 91 of Harrisonville, Missouri passed away May 31, 2018 at Adrian Manor in Adrian, Missouri. Funeral services will be 1:00 PM Wednesday, June 6, 2018 at the First Baptist Church, 504 W. Wall St., Harrisonville, MO 64701. Visitation will be Tuesday evening, 5-7 PM at the church, with Eastern Star service to begin at 7 PM. Interment will follow services in Mt. Moriah Cemetery, Kansas City, Missouri. Memorial contributions are suggested to the Alzheimer’s Association. Arrangements entrusted to the Mullinax Funeral Home (660-679-0009) of Butler, Missouri; messages of condolence for the family may be left at www.mullinaxfuneralhome.com. Marguret Jean (Stice) Grogger was born October 27, 1927 in Harrisonville, Missouri, daughter of Crawford and Katherine (Sulser) Stice. She graduated from Harrisonville High School in 1947; she and her twin sister, Margurite Agnes were well-known members of the girls high school basketball team. Jean graduated from a secretarial trade school in Kansas City in 1951. She was united in marriage to Morton Edward Grogger, Jr. in the summer of 1954. Jean worked for 17 years at Lake City Army Ammunition Plant, taking a two year break to stay home with her newborn daughter. She returned to work at the plant until taking early retirement, coming home to manage and work on the dairy farm when her husband’s health prevented him from working. Jean was a member of the First Baptist Church of Harrisonville, and the Harrisonville Business and Professional Women’s Club where she was once recognized as Woman of the Year. She was also a member and past secretary of the Dairy Herd Improvement Association; past president and past secretary of Jemor Farms, Inc., until her son-in-law became president and her daughter became secretary. She belonged to Bayard Chapter 179 Order of the Eastern Star, and was Matron in 1987. Jean also served as mother advisor to Rainbow Girls Assembly #36 in 1973. Jean was preceded in death by her husband, Morton Edward Grogger, Jr.; her twin sister Margurite Agnes (Stice) Frevert; and brothers Warren Crawford Stice and Horace Stice. She is survived by her daughter, Cynthia Renee Grogger Warner and son-in-law Stan D. Warner; four grandchildren: Joseph Edward Warner, Megan Jean Warner, Benjamin Dean Warner and Bailey JoAnna Warner; her beloved nieces Kathy Jean (Frevert) Shrout and Linda Katherine Stice; nephews William Todd Stice, Dennis Warren Stice, Richard Stice and Dr. Larry Fredrick Frevert; and many great nieces and nephews. To send flowers or a remembrance gift to the family of Jean Grogger, please visit our Tribute Store. "Email Address" would like to share the life celebration of Jean Grogger. Click on the "link" to go to share a favorite memory or leave a condolence message for the family.